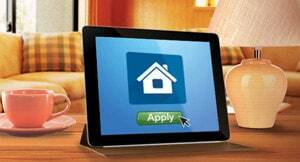 Apply for a mortgage loan online and receive HK$500 supermarket voucher! Get the Monthly Repayment Amount and the example of Repayment Schedule based on the mortgage amount you intend to borrow and relevant interest rate and loan years. The calculator result is for information purposes only and the calculation is based on the information provided by you. Standard Chartered Bank (Hong Kong) Limited (the “Bank”) endeavours to keep the calculator up-to-date as per the latest regulatory guidelines, however some discrepancy may be expected. The assumptions used and figures generated by this calculator are for purposes of illustration and reference only and are subject to change depending on a variety of factors, which may not have been taken into account in the computation. The apportionment of interest and principal for each monthly repayment throughout the tenor is based on the Straight Line Method. The calculation is not intended to constitute financial advice. You should obtain professional advice and should not rely on the calculator to make any financial or other decision. The Bank makes no warranty, express or implied, as to the accuracy, reliability and completeness of any information, formulae, or calculation provided through use of the calculator and does not accept any liability for loss or damage of whatsoever nature, which may be attributable to the reliance on and use of the calculator. You should not rely on the result of the calculation or assume the Bank would approve any mortgage application based on those terms. Any mortgage application and the terms and conditions of the loan including but not limited to loan account amount, interest rate and tenor are subject to the final approval of the Bank. Apply for a mortgage loan online to receive HK$500 supermarket voucher!